Inside Fort Meade, Maryland, a top-secret city bustles. Tens of thousands of people move through more than 50 buildings—the city has its own post office, fire department, and police force. But as if designed by Kafka, it sits among a forest of trees, surrounded by electrified fences and heavily armed guards, protected by antitank barriers, monitored by sensitive motion detectors, and watched by rotating cameras. To block any telltale electromagnetic signals from escaping, the inner walls of the buildings are wrapped in protective copper shielding and the one-way windows are embedded with a fine copper mesh. Now 61, Alexander has said he plans to retire in 2014; when he does step down he will leave behind an enduring legacy—a position of far-reaching authority and potentially Strangelovian powers at a time when the distinction between cyberwarfare and conventional warfare is beginning to blur. A recent Pentagon report made that point in dramatic terms. It recommended possible deterrents to a cyberattack on the US. Among the options: launching nuclear weapons. He may be a four-star Army general, but Alexander more closely resembles a head librarian than George Patton. His face is anemic, his lips a neutral horizontal line. Bald halfway back, he has hair the color of strong tea that turns gray on the sides, where it is cut close to the skin, more schoolboy than boot camp. For a time he wore large rimless glasses that seemed to swallow his eyes. Some combat types had a derisive nickname for him: Alexander the Geek. Born in 1951, the third of five children, Alexander was raised in the small upstate New York hamlet of Onondaga Hill, a suburb of Syracuse. He tossed papers for the Syracuse Post-Standard and ran track at Westhill High School while his father, a former Marine private, was involved in local Republican politics. It was 1970, Richard Nixon was president, and most of the country had by then begun to see the war in Vietnam as a disaster. But Alexander had been accepted at West Point, joining a class that included two other future four-star generals, David Petraeus and Martin Dempsey. Alexander would never get the chance to serve in Vietnam. Just as he stepped off the bus at West Point, the ground war finally began winding down. In April 1974, just before graduation, he married his high school classmate Deborah Lynn Douglas, who grew up two doors away in Onondaga Hill. The fighting in Vietnam was over, but the Cold War was still bubbling, and Alexander focused his career on the solitary, rarefied world of signals intelligence, bouncing from secret NSA base to secret NSA base, mostly in the US and Germany. He proved a competent administrator, carrying out assignments and adapting to the rapidly changing high tech environment. Along the way he picked up masters degrees in electronic warfare, physics, national security strategy, and business administration. As a result, he quickly rose up the military intelligence ranks, where expertise in advanced technology was at a premium. In 2001, Alexander was a one-star general in charge of the Army Intelligence and Security Command, the military’s worldwide network of 10,700 spies and eavesdroppers. In March of that year he told his hometown Syracuse newspaper that his job was to discover threats to the country. “We have to stay out in front of our adversary,” Alexander said. “It’s a chess game, and you don’t want to lose this one.” But just six months later, Alexander and the rest of the American intelligence community suffered a devastating defeat when they were surprised by the attacks on 9/11. Following the assault, he ordered his Army intercept operators to begin illegally monitoring the phone calls and email of American citizens who had nothing to do with terrorism, including intimate calls between journalists and their spouses. Congress later gave retroactive immunity to the telecoms that assisted the government. But while the powers that be were pressing for Drake’s imprisonment, a much more serious challenge was emerging. Stuxnet, the cyberweapon used to attack the Iranian facility in Natanz, was supposed to be untraceable, leaving no return address should the Iranians discover it. Citing anonymous Obama administration officials, The New York Times reported that the malware began replicating itself and migrating to computers in other countries. Cyber­security detectives were thus able to detect and analyze it. By the summer of 2010 some were pointing fingers at the US. Natanz is a small, dusty town in central Iran known for its plump pears and the burial vault of the 13th-century Sufi sheikh Abd al-Samad. The Natanz nuclear enrichment plant is a vault of a different kind. Tucked in the shadows of the Karkas Mountains, most of it lies deep underground and surrounded by concrete walls 8 feet thick, with another layer of concrete for added security. Its bulbous concrete roof rests beneath more than 70 feet of packed earth. Contained within the bombproof structure are halls the size of soccer pitches, designed to hold thousands of tall, narrow centrifuges. The machines are linked in long cascades that look like tacky decorations from a ’70s discotheque. To work properly, the centrifuges need strong, lightweight, well-balanced rotors and high-speed bearings. Spin these rotors too slowly and the critical U-235 molecules inside fail to separate; spin them too quickly and the machines self-destruct and may even explode. The operation is so delicate that the computers controlling the rotors’ movement are isolated from the Internet by a so-called air gap that prevents exposure to viruses and other malware. In 2006, the Department of Defense gave the go-ahead to the NSA to begin work on targeting these centrifuges, according to The New York Times. One of the first steps was to build a map of the Iranian nuclear facility’s computer networks. A group of hackers known as Tailored Access Operations—a highly secret organization within the NSA—took up the challenge. They set about remotely penetrating communications systems and networks, stealing passwords and data by the terabyte. Teams of “vulnerability analysts” searched hundreds of computers and servers for security holes, according to a former senior CIA official involved in the Stuxnet program. Armed with that intelligence, so-called network exploitation specialists then developed software implants known as beacons, which worked like surveillance drones, mapping out a blueprint of the network and then secretly communicating the data back to the NSA. (Flame, the complex piece of surveillance malware discovered by Russian cybersecurity experts last year, was likely one such beacon.) The surveillance drones worked brilliantly. The NSA was able to extract data about the Iranian networks, listen to and record conversations through computer microphones, even reach into the mobile phones of anyone within Bluetooth range of a compromised machine. The next step was to create a digital warhead, a task that fell to the CIA Clandestine Service’s Counter-Proliferation Division. According to the senior CIA official, much of this work was outsourced to national labs, notably Sandia in Albuquerque, New Mexico. So by the mid-2000s, the government had developed all the fundamental technology it needed for an attack. But there was still a major problem: The secretive agencies had to find a way to access Iran’s most sensitive and secure computers, the ones protected by the air gap. For that, Alexander and his fellow spies would need outside help. This is where things get murky. One possible bread crumb trail leads to an Iranian electronics and computer wholesaler named Ali Ashtari, who later confessed that he was recruited as a spy by the Mossad, Israel’s intelligence service. (Israel denied the claim.) Ashtari’s principal customers were the procurement officers for some of Iran’s most sensitive organizations, including the intelligence service and the nuclear enrichment plants. If new computers were needed or routers or switches had to be replaced, Ashtari was the man to see, according to reports from semi-official Iranian news agencies and an account of Ashtari’s trial published by the nonprofit Iran Human Rights Voice. The nation’s largest employer of mathematicians. 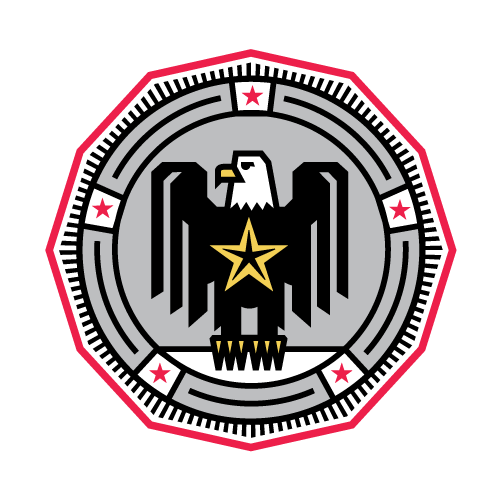 The Department of Defense created this agency in 1952 to intercept, collect, and decrypt foreign communications. 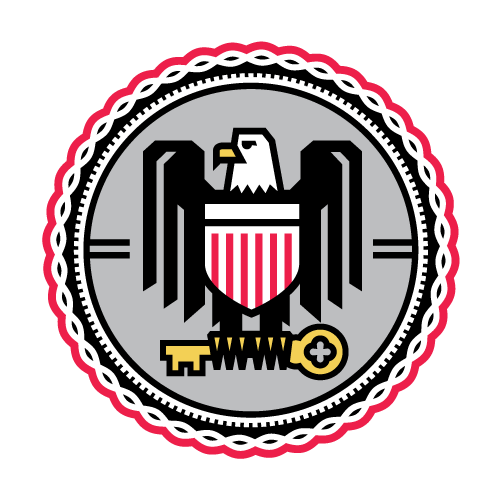 In the past decade, the NSA poured hundreds of millions of dollars into offensive cyberwar R&D. Originally envisioned as a fourth branch of the armed services, this organization is now described as a “combat support agency.” It coordinates with the Army, Navy, Coast Guard, Marines, and Air Force to eavesdrop on foreign signals—like tapping into undersea cable or wireless communications. A unit whose existence has never been officially acknowledged by the defense establishment. But according to the accounts of an anonymous CIA official, members of the ultra-top-secret group are involved in covert eavesdropping from US embassies around the world. Created in 2005 as part of US Strategic Command, which controls the nation’s nuclear arsenal, it played a lead role in promoting the idea of thwarting Iran’s own nuclear ambitions with a cyberattack. Folded into Cybercom in 2010. He not only had access to some of Iran’s most sensitive locations, his company had become an electronics purchasing agent for the intelligence, defense, and nuclear development departments. This would have given Mossad enormous opportunities to place worms, back doors, and other malware into the equipment in a wide variety of facilities. Although the Iranians have never explicitly acknowledged it, it stands to reason that this could have been one of the ways Stuxnet got across the air gap. But by then, Iran had established a new counterintelligence agency dedicated to discovering nuclear spies. Ashtari was likely on their radar because of the increased frequency of his visits to various sensitive locations. He may have let down his guard. “The majority of people we lose as sources—who get wrapped up or executed or imprisoned—are usually those willing to accept more risk than they should,” says the senior CIA official involved with Stuxnet. In 2006, according to Iran Human Rights Voice, Ashtari was quietly arrested at a travel agency after returning from another trip out of the country. The malware targeting Iran replicated and spread to computers in other countries. In June 2008 he was brought to trial in Branch 15 of the Revolutionary Court, where he confessed, pleaded guilty to the charges, expressed remorse for his actions, and was sentenced to death. On the morning of November 17, in the courtyard of Tehran’s Evin Prison, a noose was placed around Ashtari’s neck, and a crane hauled his struggling body high into the air. Ashtari may well have been one of the human assets that allowed Stuxnet to cross the air gap. But he was not Israel’s only alleged spy in Iran, and others may also have helped enable malware transfer. “Normally,” says the anonymous CIA official, “what we do is look for multiple bridges, in case a guy gets wrapped up.” Less then two weeks after Ashtari’s execution, the Iranian government arrested three more men, charging them with spying for Israel. And on December 13, 2008, Ali-Akbar Siadat, another importer of electronic goods, was arrested as a spy for the Mossad, according to Iran’s official Islamic Republic News Agency. Unlike Ashtari, who said he had operated alone, Siadat was accused of heading a nationwide spy network employing numerous Iranian agents. But despite their energetic counterintelligence work, the Iranians would not realize for another year and a half that a cyberweapon was targeting their nuclear centrifuges. Once they did, it was only a matter of time until they responded. Sure enough, in August 2012 a devastating virus was unleashed on Saudi Aramco, the giant Saudi state-owned energy company. The malware infected 30,000 computers, erasing three-quarters of the company’s stored data, destroying everything from documents to email to spreadsheets and leaving in their place an image of a burning American flag, according to The New York Times. Just days later, another large cyberattack hit RasGas, the giant Qatari natural gas company. Then a series of denial-of-service attacks took America’s largest financial institutions offline. Experts blamed all of this activity on Iran, which had created its own cyber command in the wake of the US-led attacks. James Clapper, US director of national intelligence, for the first time declared cyberthreats the greatest danger facing the nation, bumping terrorism down to second place. In May, the Department of Homeland Security’s Industrial Control Systems Cyber Emergency Response Team issued a vague warning that US energy and infrastructure companies should be on the alert for cyberattacks. It was widely reported that this warning came in response to Iranian cyberprobes of industrial control systems. An Iranian diplomat denied any involvement. The cat-and-mouse game could escalate. “It’s a trajectory,” says James Lewis, a cyber­security expert at the Center for Strategic and International Studies. “The general consensus is that a cyber response alone is pretty worthless. And nobody wants a real war.” Under international law, Iran may have the right to self-defense when hit with destructive cyberattacks. William Lynn, deputy secretary of defense, laid claim to the prerogative of self-defense when he outlined the Pentagon’s cyber operations strategy. “The United States reserves the right,” he said, “under the laws of armed conflict, to respond to serious cyberattacks with a proportional and justified military response at the time and place of our choosing.” Leon Panetta, the former CIA chief who had helped launch the Stuxnet offensive, would later point to Iran’s retaliation as a troubling harbinger. “The collective result of these kinds of attacks could be a cyber Pearl Harbor,” he warned in October 2012, toward the end of his tenure as defense secretary, “an attack that would cause physical destruction and the loss of life.” If Stuxnet was the proof of concept, it also proved that one successful cyberattack begets another. For Alexander, this offered the perfect justification for expanding his empire. 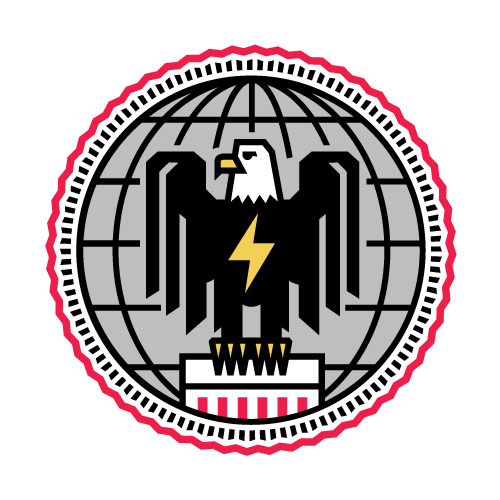 In May 2010, a little more than a year after President Obama took office and only weeks before Stuxnet became public, a new organization to exercise American rule over the increasingly militarized Internet became operational: the US Cyber Command. Keith Alexander, newly promoted to four-star general, was put in charge of it. The forces under his command were now truly formidable—his untold thousands of NSA spies, as well as 14,000 incoming Cyber Command personnel, including Navy, Army, and Air Force troops. Helping Alexander organize and dominate this new arena would be his fellow plebes from West Point’s class of 1974: David Petraeus, the CIA director; and Martin Dempsey, chair of the Joint Chiefs of Staff. Indeed, dominance has long been their watchword. Alexander’s Navy calls itself the Information Dominance Corps. In 2007, the then secretary of the Air Force pledged to “dominate cyberspace” just as “today, we dominate air and space.” And Alexander’s Army warned, “It is in cyberspace that we must use our strategic vision to dominate the information environment.” The Army is reportedly treating digital weapons as another form of offensive capability, providing frontline troops with the option of requesting “cyber fire support” from Cyber Command in the same way they request air and artillery support. In May, work began on a $3.2 billion facility housed at Fort Meade in Maryland. Known as Site M, the 227-acre complex includes its own 150-megawatt power substation, 14 administrative buildings, 10 parking garages, and chiller and boiler plants. The server building will have 90,000 square feet of raised floor—handy for supercomputers—yet hold only 50 people. Meanwhile, the 531,000-square-foot operations center will house more than 1,300 people. In all, the buildings will have a footprint of 1.8 million square feet. Even more ambitious plans, known as Phase II and III, are on the drawing board. Stretching over the next 16 years, they would quadruple the footprint to 5.8 million square feet, enough for nearly 60 buildings and 40 parking garages, costing $5.2 billion and accommodating 11,000 more cyberwarriors. Alexander’s forces are formidable—thousands of NSA spies, plus 14,000 cyber troops. In short, despite the sequestration, layoffs, and furloughs in the federal government, it’s a boom time for Alexander. In April, as part of its 2014 budget request, the Pentagon asked Congress for $4.7 billion for increased “cyberspace operations,” nearly $1 billion more than the 2013 allocation. At the same time, budgets for the CIA and other intelligence agencies were cut by almost the same amount, $4.4 billion. A portion of the money going to Alexander will be used to create 13 cyberattack teams. What’s good for Alexander is good for the fortunes of the cyber-industrial complex, a burgeoning sector made up of many of the same defense contractors who grew rich supplying the wars in Iraq and Afghanistan. With those conflicts now mostly in the rearview mirror, they are looking to Alexander as a kind of savior. After all, the US spends about $30 billion annually on cybersecurity goods and services. One of the most secretive of these contractors is Endgame Systems, a startup backed by VCs including Kleiner Perkins Caufield & Byers, Bessemer Venture Partners, and Paladin Capital Group. Established in Atlanta in 2008, Endgame is transparently antitransparent. “We’ve been very careful not to have a public face on our company,” former vice president John M. Farrell wrote to a business associate in an email that appeared in a WikiLeaks dump. “We don’t ever want to see our name in a press release,” added founder Christopher Rouland. True to form, the company declined Wired’s interview requests. Perhaps for good reason: According to news reports, Endgame is developing ways to break into Internet-connected devices through chinks in their antivirus armor. Like safecrackers listening to the click of tumblers through a stethoscope, the “vulnerability researchers” use an extensive array of digital tools to search for hidden weaknesses in commonly used programs and systems, such as Windows and Internet Explorer. And since no one else has ever discovered these unseen cracks, the manufacturers have never developed patches for them. Endgame hunts for hidden security weaknesses that are ripe for exploitation. Thus, in the parlance of the trade, these vulnerabilities are known as “zero-day exploits,” because it has been zero days since they have been uncovered and fixed. They are the Achilles’ heel of the security business, says a former senior intelligence official involved with cyberwarfare. Those seeking to break into networks and computers are willing to pay millions of dollars to obtain them. According to Defense News’ C4ISR Journal and Bloomberg Businessweek, Endgame also offers its intelligence clients—agencies like Cyber Command, the NSA, the CIA, and British intelligence—a unique map showing them exactly where their targets are located. Dubbed Bonesaw, the map displays the geolocation and digital address of basically every device connected to the Internet around the world, providing what’s called network situational awareness. The client locates a region on the password-protected web-based map, then picks a country and city— say, Beijing, China. Next the client types in the name of the target organization, such as the Ministry of Public Security’s No. 3 Research Institute, which is responsible for computer security—or simply enters its address, 6 Zhengyi Road. The map will then display what software is running on the computers inside the facility, what types of malware some may contain, and a menu of custom-designed exploits that can be used to secretly gain entry. It can also pinpoint those devices infected with malware, such as the Conficker worm, as well as networks turned into botnets and zombies— the equivalent of a back door left open. Bonesaw also contains targeting data on US allies, and it is soon to be upgraded with a new version codenamed Velocity, according to C4ISR Journal. It will allow Endgame’s clients to observe in real time as hardware and software connected to the Internet around the world is added, removed, or changed. But such access doesn’t come cheap. One leaked report indicated that annual subscriptions could run as high as $2.5 million for 25 zero-day exploits. He has reason to be concerned. In May, Alexander discovered that four months earlier someone, or some group or nation, had secretly hacked into a restricted US government database known as the National Inventory of Dams. Maintained by the Army Corps of Engineers, it lists the vulnerabilities for the nation’s dams, including an estimate of the number of people who might be killed should one of them fail. Meanwhile, the 2013 “Report Card for America’s Infrastructure” gave the US a D on its maintenance of dams. There are 13,991 dams in the US that are classified as high-hazard, the report said. A high-hazard dam is defined as one whose failure would cause loss of life. “That’s our concern about what’s coming in cyberspace—a destructive element. It is a question of time,” Alexander said in a talk to a group involved in information operations and cyberwarfare, noting that estimates put the time frame of an attack within two to five years. He made his comments in September 2011.